From my point of view, a cardigan is one of the most necessary pieces of clothes for any woman. You can add this item to almost all outfits and you will look charming and elegant. 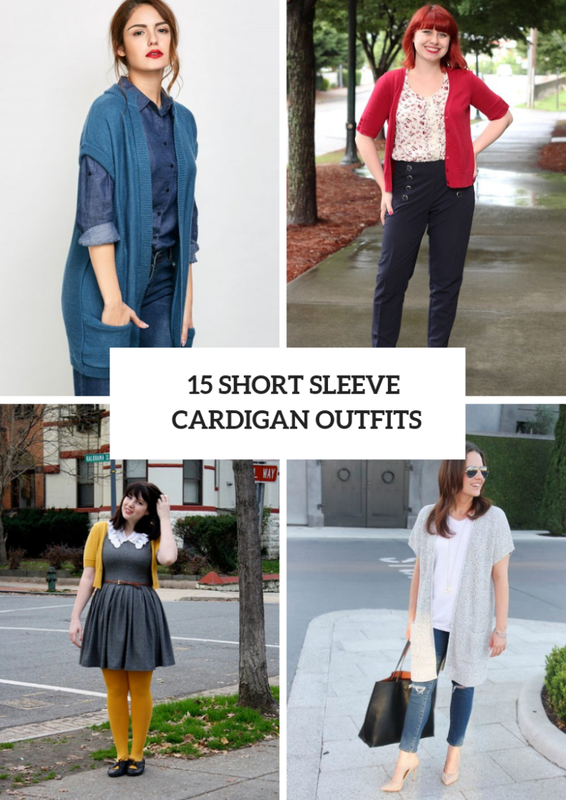 But today I want to pay your attention to short sleeve cardigans that will be ideal addition to spring looks, for sure. Depending on your wishes, style and other pieces of clothes and accessories you can choose from loose to fitted, short to long, classic to embellished cardigans. All you need is to scroll down and consider collected outfit ideas and pick up one. 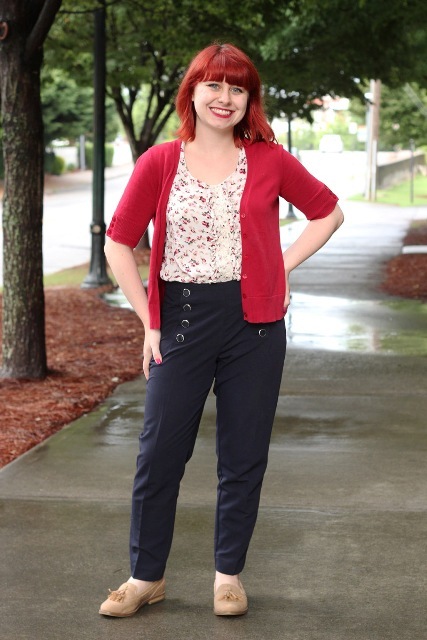 For creating casual outfits you can choose various types of jeans. For example, you can take distressed skinny ones and combine them with a white loose t-shirt, a gray loose short sleeve long cardigan, beige pumps, sunglasses and a black leather tote bag. 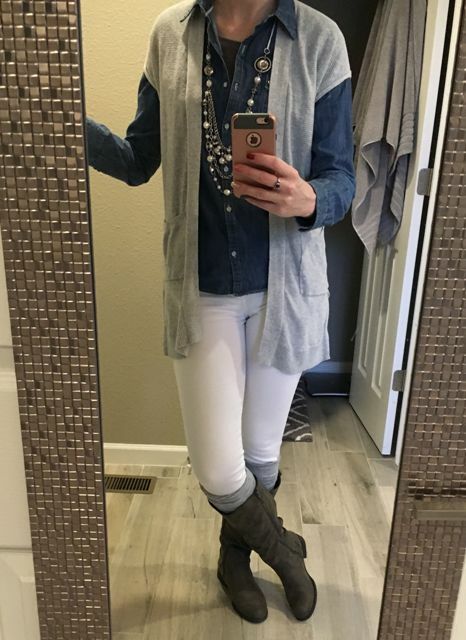 Or you can pick up loose cuffed jeans and mix them with a black button down long sleeved shirt, a gray cardigan and black embellished leather ankle boots. 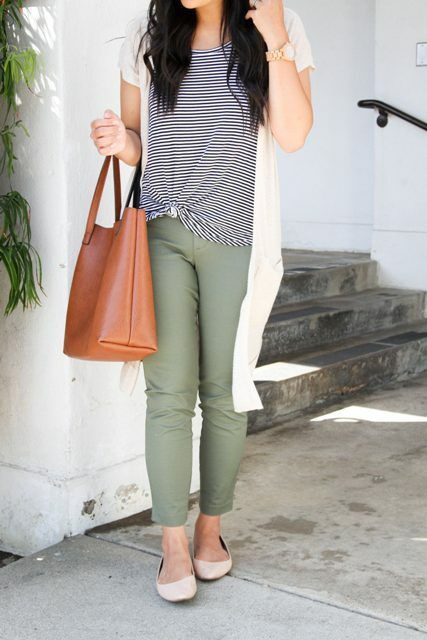 If you love a minimalistic style, then you can pair white pants with a black top, a black long cardigan and shoes. Are you looking for relaxed and vacation looks? So try to repeat a combination with a striped t-shirt, olive green trousers, beige flat shoes, a white loose short sleeve cardigan and a brown leather tote bag. If you like to wear maxi dresses, then you need a fitted cardigan. 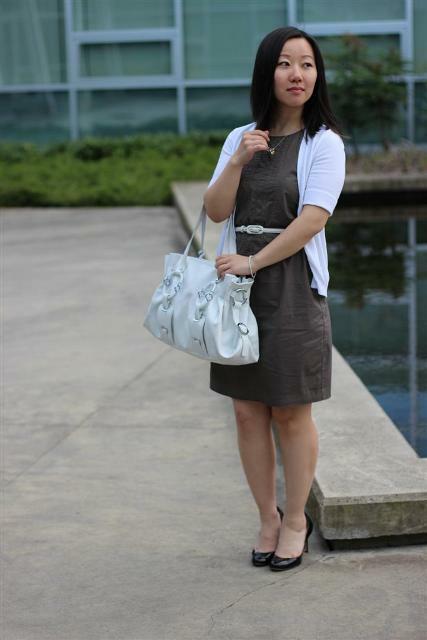 For example, choose a floral A-line maxi dress and mix it with a black short sleeve cardigan and black leather flats. If you wanna make an eye-catching outfit, then you can take a gray dress with a white collar, a brown belt, yellow tights, black shoes and a yellow crop cardigan.